Drexel University men’s and women’s swimming and diving had a busy weekend, including a men’s swimming victory and a women’s swimming loss to Lehigh University Jan. 28, and good performances from both diving teams at the Penn State Invitational Jan. 29. The swimming teams traveled to Bethlehem, Pennsylvania on Friday to face Lehigh’s squad. The men fared well, and the final score came in at 144 to 118. 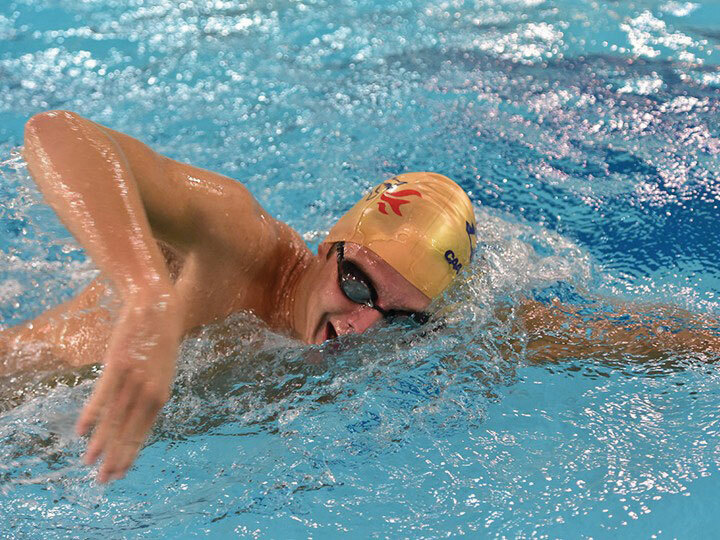 A key performance came from freshman Jason Arthur, who set two pool records: one in the 200-yard backstroke and another in the 200-yard individual medley with times of 1:48.10 and 1:34.70, respectively. Sophomore Patrick Cobb won the 1000-yard freestyle with a time of 9:35.49, which is a Drexel record for this event at a dual meet. The women, however, did not fair as well against the Lehigh Mountain Hawks, losing 166 to 122. However, the team did manage to set three pool records during the meet. Senior Rachel Bernhardt set pool records in the 100-yard breaststroke and the 200-yard breaststroke with times of 1:02:71 and 2:17.31, respectively. Also swimming well was freshman Alexa Kutch, who won the 100-yard backstroke and set a pool record with a time of 56.36. Both men’s and women’s diving participated in the two-day Penn State Invitational over the weekend. On Saturday, freshman Anthony Musciano placed sixth in the men’s 1-meter finals with a score of 264.35. Seniors Madison Kramer and Jaclyn Goulet achieved second and seventh place finishes in the women’s 3-meter finals, respectively, with scores of 294.15 and 214.15. On Sunday, junior Simon Carne was able to pick up a sixth-place finish in the men’s 3-meter finals with a score of 273.05, while Madison Kramer finished at the top of the field for the women’s 1-meter final with a first-place score of 290.50. Senior Jaclyn Goulet finished sixth with a score of 221.80. For the second time this month, the Dragons swept the CAA weekly awards. On Jan. 31, senior Rachel Bernhardt and freshman Jason Arthur won conference swimmer of the week and senior Madison Kramer and junior Simon Carne were diver of the week. The announcements brings the Dragon’s total awards number to 18 this season. Both men’s and women’s swimming and diving teams will travel to Christiansburg, Virginia, Feb. 4 for the Virginia Tech Invitational.